Aluminium Products Company Ltd. (ALUPCO) was established in 1975 to extrude and fabricate aluminum architectural products in Saudi Arabia. It has grown to become the largest aluminum extrusion company in the Middle East and is one of the top 100 companies in Saudi Arabia. Olayan is a major minority shareholder and has a representative on ALUPCO's board. ALUPCO is a 100% Saudi-owned company with paid-up share capital of SR150 million ($40 million) and total assets of around SR400 million ($106.7 million). The corporate headquarters is in Dammam where the firm owns and operates four extrusion plants, two anodizing plants, two powder coating plants, a wood finishing plant and a cast house. In 1982, two extrusion and anodizing plants with a cast house were acquired in Jeddah, boosting the company's production capacity by an additional 11,000 tons per annum. 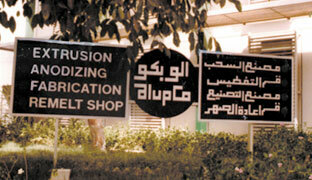 In 1987, a horizontal powder coating plant was installed with an annual capacity of 3,000 tons. Subsequently, in 1993 and 1994, a new extrusion plant with a capacity of 10,000 tons and a second vertical powder coating plant with a capacity of 11,000 tons were installed in Jeddah. 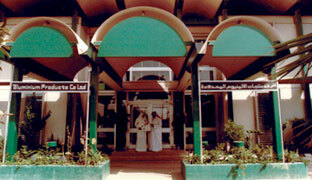 In 1999, ALUPCO commissioned a state-of-the-art die manufacturing plant in Jeddah capable of producing 4,000 dies per year. 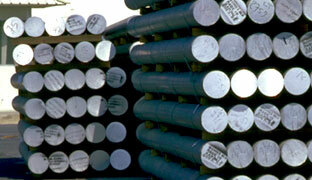 ALUPCO's experienced engineering and manufacturing staff numbers almost 600. This staff is augmented on a case by case basis by Alusuisse of Switzerland. With a total combined annual extrusion capacity of more than 60,000 tons, ALUPCO meets a major portion of the demand for high-standard aluminium extrusion products in Saudi Arabia, the GCC states, East Med, Africa and Europe.